In recent years, with the world economy and industry development, the demand for steel is continuing unabated. The amount of slag also increase substantially. A large number of steel slag piled up, not only occupied the land, but also polluted environment. Slag is mainly applied for slag silicate cement production. Compared with silicate cement, it has the characteristics of high strength, wear resistance, low heat of hydration and good permeability. Slag silicate cement production equipment is mainly LM Vertical Roller Mill and Ball Mill. In comparison, LM Vertical Roller Mill has the advantage of small footprint, sample process, safe and reliable operation, high grinding efficiency, low energy consumption, and uniform output size. The finished product is fully meets for silicate cement standards. 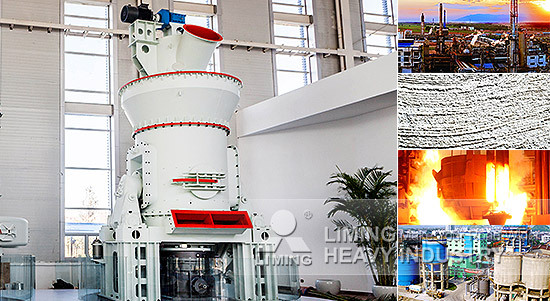 Liming Heavy Industry LM Vertical Roller Mill is also widely used in coal, fly ash and various non-metallic ore powder making production, recognized by the powder industry!